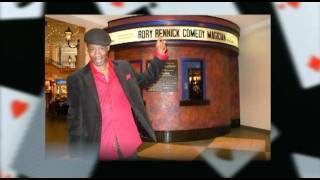 ***FAMILY FRIENDLY ALL AGES WELCOME***Rory Rennick is one of the hottest new entertainers on the comedy and motivational magic landscape. His unique blend of theatrical magic, motivational and comedic insight is guaranteed to AMAZE, AMUSE, and INSPIRE audiences of all ages! Rory utilizes his background in the psychological and social sciences, history, storytelling, visual, and musical arts to present magical entertainment you won’t soon forget! From the silly to the sophisticated, Rory aptly weaves sleight-of-hand with sleight-of-mind magic laced with interactive comedy. Rory is a native of Columbus, Ohio and has three children. His wife Angela, “Angel” is his lovely assistant. They have performed for thousands at clubs, colleges, Fortune 500 companies, school, libraries, restaurants, private and community events. Their performances are highly interactive. Audiences are entertained and mesmerized by stage and up-close magical feats and comedy mentalism. Rory has a love of magic with a passion and creative zeal that is gaining momentum and attention everywhere! Normal age restrictions are not applicable for this show. This show is suitable for ages 6 and up.